Visually focused, packed with cultural insight, and sized for portability, Guides for the Eyes celebrate the local traditions and visual vernacular that surround us. Operating at the intersection of art and anthropology, each edition in the series explores place through 100 of the most notable features of a region. Vivid photography and informative text provide insight into the significance of each topic, covering regional architecture, design, flora, fauna, food, crafts, folklore, landscape, and other facets of local identity and style. Ranging from the obvious to the obscure, these distinguishing elements define a locale as somewhere as opposed to anywhere. While traditional travel guidebooks focus on where to eat, sleep, and visit (setting up the travel experience as a mere checklist of things to see and do), Guides for the Eyes introduce, explore, and beautifully illustrate the details that create the magical sense of place that travelers seek. As one of the most storied regions of North America, Southern California is a captivating addition to this award-winning series. From beaches and billboards to taco trucks and tract homes, the landscape and culture is familiar, but in many ways unknown and misunderstood. The swirl of activity in which Southern California was created "by a multiplicity of cultures, pioneering industries, and unforgettable personalities "has made for a sometimes fanciful, and always fascinating, history. This influential land at the end of the road has become, and likely will continue to be, a place of new beginnings, innovation, dreams, and aspiration, bringing countless contributions to our world. 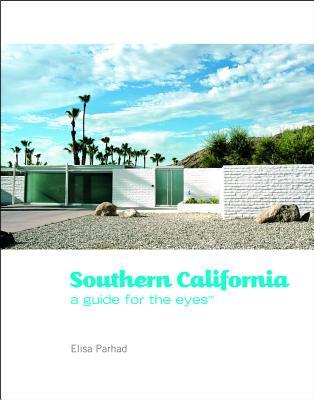 "Southern California: A Guide for the Eyes" is a valuable resource of Californian culture that will tickle the fancy of the art lover, design fanatic, anthropologist, historian, and travel enthusiast. With an evocative format and impeccable sense of style, this book will be just as handy on the road as it is on the coffee table.